I love gin and tonic, but as my tastes have matured (read: sugary sodas are too sugary, that music is too loud, kids today have no etc. ), the tonic water, itself, has lead to more disappointing gin and tonics than the type of gin used. The vast majority of tonic water, available in the soda gun at the local bar or in the bottle in the supermarket, is made with high fructose corn syrup (hfcs) and artificial quinine. Although I’m not going to debate whether or not hfcs is bad for us (this is a blog about alcohol, after all, and there isn’t much worse for the body than alcohol), I firmly believe that hfcs has an inferior taste compared to almost any other syrup. It’s slightly less sweet than regular sugar, but a lot cheaper (and I will not go into the subsidies that make it that way, either), and as a result soda companies tend to use more of it. I’d never tasted real quinine, so I couldn’t comment on the taste or quality of the artificial quinine that’s in most tonic waters, but I noticed that the longer I’ve been drinking gin and tonics, the harsher the flavor had become, and the more necessary it has been to squeeze more citrus into the drink to make it worth drinking. And still, I have a great respect for the drink. So much so that when I came across the 4-pack of 8oz. Q Tonic bottles in my supermarket for $8, I jumped at the opportunity to try it. My thanks to Jordan from Q Tonic for the gorgeous photo. This is one of the few mixers that has a bottle as well designed as higher-end premium liquors. Q Tonic is made with an agave syrup and natural quinine, and 4oz with 1.5oz of good gin, ice, and a wedge of fresh lime makes a wonderful gin and tonic. Of course, splitting each bottle into two servings means that each gin and tonic has $1 worth of tonic water in it, making a gin and Q Tonic the most expensive drink I could make at home, about $3 per drink, with just two major ingredients. At any good happy hour, and a heavy-handed bartender, $6 could get me three times the amount of gin and tonics. But, life is short, and sometimes a $3 homemade, sublime gin and tonic is all it takes to make a day a lot better. Because Q Tonic is milder and not as sweet as regular tonics, I would highly recommend it for vodka tonics. I don’t drink them myself, but the theory is sound. Q Tonic is going on my bar essentials list. It has 60% less calories than regular tonic water (and diet tonic water simply does not exist in my world of unicorns and wish-trees), so it’s far less sweet than regular. 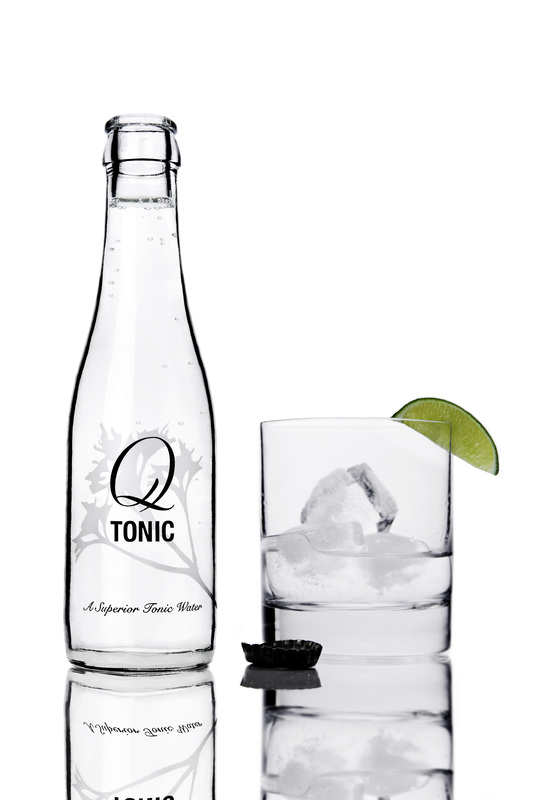 Whatever the unpleasant chemical reaction that causes regular tonic water to have harsh aftertaste (not to be confused with the bitterness of quinine), it’s absent from Q Tonic. Using a cheaper alternative won’t ruin a gin and tonic, because part of the magic is how these ingredients that (honestly) aren’t that good by themselves become tasty tasty when combined. I won’t purchase 1 or 2 liter bottles unless I am assured I could use the entire bottle in one night. I normally keep the 6oz. Canada Dry glass bottles, but the Q Tonic 4-pack is going to remain an indulgence whenever I can find them to purchase them.